Ki’ Lia, a Stanford-educated artist, futurist and colleague of Ms. Eisenhower, has provided a corroborating first hand witness account of her and Ms. Eisenhower’s attempted recruitment into a secret human survival colony on Mars. The revelations of Ms. Eisenhower and Ki’ Lia corroborate independent whistle blower revelations made by lawyer Andrew D. Basiago of covert U.S. government surveillance of political persons of interest using secret time travel technology. Their allegations are also consistent with disclosures made by Mr. Basiago that twice in 1981 he teleported from a CIA facility in El Segundo, CA to a secret U.S. base on Mars, first by himself, and then a second time in the company of CIA agent Courtney M. Hunt. 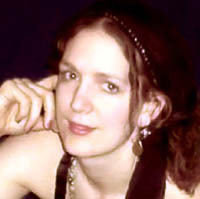 Laura Magdalene Eisenhower, who has resided and traveled independently in over 20 cities in the U.S. and abroad, has developed a wide knowledge base in frontier health, natural systems, alchemy, metaphysics and ancient history, and also has degrees and certifications in science, wilderness expedition leadership, natural healing and building. She is a mythic cosmologist, global strategist, clairvoyant healer, Earth advocate, and artist. 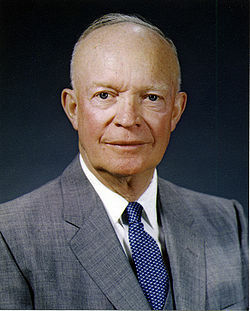 “My great-grandfather President Ike, who was also the Army general who led the Allied Forces to victory over Hitler, battled evil corrupt powers on Earth and took on some of the most challenging scenarios in history. As I grew up, I could sense that I was completing this battle that has ancient roots. When Hitler died and the Nazis lost power- the entities including those that were ET/Extraterrestrial did not. “He knew a lot about me from numerous sources that overlapped with one another – from Freemasons, Knights Templar, to this hidden branch of the government that was behind creating this Mars mission. They understood me based on remote viewing and time travel devices and they also seemed to recruit people from the Freemasons and Knights Templar who were well aware of the Magdalene path. Ki’ Lia, who has worked as an accomplished, innovative, and multidisciplinary design consultant with many renowned pioneers, corroborates the background of how Ms. Eisenhower was targeted as a subject by a shadowy group behind the secret Mars colony, using time travel and exotic targeting techniques. “After years of friendship, in the spring of 2006 in Washington, DC, I met her and her new romantic partner, who I will call Agent X. He claimed to know himself archetypally as Joseph of Arimathea/Osiris/Orion and affiliated with different, interlinked secret societies, e.g., Knights Templar and Freemasons. He and Laura quickly formed an intimate relationship, and I helped conduct a ‘Divine Union’ rites of passage for them." “Agent X revealed that his group had identified her through her bloodline, as the matrilineal great-granddaughter of 34th U.S. President Eisenhower (and the Allied Commander who defeated Hitler). As well, they knew her as a unique reincarnation of Magdalene/Sophia/Isis (ever since she was young, many psychics have recognized her). He also said his group was interested in her twin sons, who they knew as Romulus and Remus (founders of Rome) and the hero twin archetypes in the Mayan prophecy." “They had a list of male partners, who she could be with in possible time lines, and he was one of them. They targeted her (especially her heart) and these men through electromagnetic or psychic weaponry, and indeed many men tried to destroy her throughout her life. Ms. Eisenhower, who is the mother of twin boys, writes about the evolution of her relationship with “Agent X” during this period of attempted recruitment into the secret Mars project. “August, 2006. The plan was that I would move to Raleigh, NC, and we would live together and figure this entire thing out, as [Agent X] kept convincing me that my vision and mission would not go unnoticed. So we made the move happen. Upon arrival things drastically shifted. Mars would always come up again, and I was not feeling like it was safe. Ki’ Lia documents Agent X’s organization of the secret Mars project. “My science and business background wasn’t extensive, but as a quick multidimensional learner, I could immediately spot key alliances and best of breed technologies. I had made links to significantly wealthy people for my various ventures, but I continuously questioned why the heck with all their connections would they want me involved. Well, Agent X recognized my leadership and visionary skills, and wanted funds coming through his intimate allies, in order for him to achieve some equal footing with his senior advisers." Ms. Eisenhower explains the role of her dreams in breaking away from the attempted recruitment by the secret Mars colony project. “Over time the Mars issue became louder and louder. Ki' Lia and [Agent X] were working on plans to make this mission happen, but she realized his plans were dubious based on my observations and she could only try investigate more. She and I would talk more and more and I would fill her in on what I was seeing. It was clear he was being mind-controlled. “I chose Earth and fell out of the ship and fell into the ocean and was all alone in darkness. I tried to reconnect with the ship and flew up into the air to just communicate to them and understand things more, but thunder and lightning obscured my ability to see the ship and I fell back into the water. “I told [Agent X] the dream and he was nervous, but we stayed together and I continued to observe him while feeling a broken heart deep inside. I knew I was losing him to them." “Ki' Lia and I discovered that in order for [the secret Mars colony] to have their matrix of control, they wanted the Magdalene-Isis and Osiris seeding of Mars, or the power of the Holy Grail, which means ‘royal blood.’ After so many readings throughout my life confirmed this as my identity, not just essence – it all started to make sense but in a way that was hard for me to want to communicate or own up to, except for within. I knew my energy field, heart and intention was strong enough as a personification of the Venus calendrical path (which everyone can access) to help regenerate Gaia and Mars and shift us into the positive 2012 Awakening of consciousness." “I knew this would lead to the liberation from the controls that have kept us imprisoned for so long." A lawyer in Washington State and president of the Mars Anomaly Research Society, Andrew D. Basiago has revealed the existence of a secret DARPA time travel program in which he was a childhood participant, that included the identification of future persons of interest utilizing different forms of quantum access beginning in the early 1970s. On a November 11, 2009 Coast to Coast AM radio program, Mr. Basiago publicly stated that this DARPA program involving time travel was identifying future persons of interest, including those who would serve as U.S. president, and then informing such persons of their destinies. Mr. Basiago stated that in the early 1970s, in the company of his late father, Raymond F. Basiago, an engineer for The Ralph M. Parsons Company who worked on classified aerospace projects, he was present at a lunch in Albuquerque, New Mexico at which future U.S. Presidents George H.W. Bush and George W. Bush were guests shortly after they were informed that both would one day serve as president. He also stated that in the early 1970s, the DARPA program, Project Pegasus, had identified future Presidents Jimmy Carter and Bill Clinton utilizing time travel technology and that when Mr. Basiago met future President Barack Obama in Los Angeles, CA in 1982 when Mr. Basiago was attending UCLA and Mr. Obama, then a student at Columbia University, was visiting former classmates at Occidental College in Los Angeles, a statement made by the ally of Mr. Obama in the anti-apartheid movement that had introduced them revealed that Mr. Obama, then age 20, already knew that he would one day be President. Mr. Basiago revealed that the reason Project Pegasus was able to identify Mr. Carter, who was then Governor of George, in 1971, as a future U.S. President, is that the program was in possession of a copy of the Universe Books edition of Exopolitics - Politics, Government and Law in the Universe by Alfred Lambremont Webre, a book that this reporter would not write until 2005, but which bears a quote on its front pages of a statement made by President Jimmy Carter. According to Mr. Basiago, Mr. Webre's book Exopolitics was, among other written works, physically retrieved from the future by Project Pegasus and brought back in time to 1971 or a prior time. At that time, 1971, Mr. Webre was General Counsel of the New York City Environmental Protection Administration and had been placed under time travel surveillance by the U.S. government. Ms. Eisenhower’s and Ki’ Lia’s account of a secret Mars colony designed as a survival civilization for the human race is plausible within the context of independent whistle blower evidence regarding a secret U.S. presence on Mars. There is now independent whistle blower evidence of secret U.S. bases on Mars. Mr. Basiago, formerly involved in secret research and development projects undertaken by a U.S. defense agency, has verified his secret teleportation to U.S. bases on Mars, and to meeting intelligent Martian extraterrestrial life. Mr. Basiago has also publicly confirmed that in 1970, in the company of his late father, Raymond F. Basiago, he met three Martian astronauts at the Curtiss-Wright Aeronautical Company facility in Wood Ridge, New Jersey while the Martians were there on a liaison mission to Earth and meeting with U.S. aerospace personnel. The ALTA report predicted that a trend of whistle blowers would follow Mr. Basiago’s initial revelations. As whistle blowers of a secret Mars colony project, Laura Magdalene Eisenhower and Ki’ Lia ask for a further, public investigation. “All I ask is that this be further investigated. There is still much to uncover and piece together. It is crucial that the truth is revealed and that world leaders disclose their files related to any cover-ups of ET and UFO relations, and have the ethics and integrity to look deeper into the use of technologies such as ELF and HAARP. In her in-depth ExopoliticsRadio.org interview, Laura Magdalene Eisenhower calls for a return of the Divine Feminine. “I/We call every single person of every age, race, faith and background to stand up for the Truth... of our loving and laughing eternal soul nature. Our collective and internal reunion with the Divine Feminine and Masculine.